EnviroKlenz is a proud sponsor of MANP and strives to work with the naturopathic doctors in the MANP association to better aid the lives of their patients. 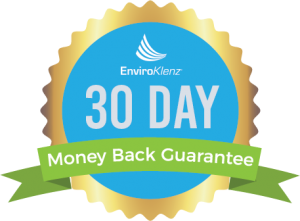 Our goal is to help increase the overall indoor air quality in the personal environment by utilizing our patented, non-toxic EnviroKlenz technology. We use our technology in a variety of applications from surfaces, contents, personal, and air space products. Learn more about how you can work with EnviroKlenz today by joining our partner program to help in the mission in encouraging a non-toxic lifestyle and aiding in better improving the quality of your patients’ environments. During and after a fire, hundreds and thousands of chemicals can be found in smoke along with the ash. These compounds can be dangerous to people and properties. 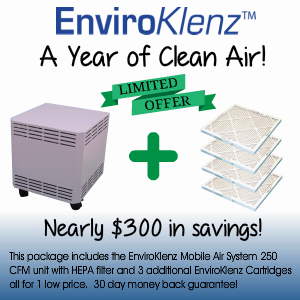 The EnviroKlenz Mobile Air System works against the chemicals and particulates that result from the fires.EnviroKlenz Mobile Air System can be used to minimize and eliminate contamination in your home. Against a corrosive gas (hydrogen sulfide), EnviroKlenz completely neutralized it while ozone and carbon filtration did not.